It’s important to start small with a vegetable garden. Spring is here! Have you considered starting a vegetable garden outside your Katy, Texas home? This can be a fun thing and a great learning experience for families with young kids, and also for those who are empty nesters, and have always considered planting a garden but have never before had the time. There are several things to keep in mind when getting ready to plant a vegetable garden. Consider the space you have available. You don’t have to have a large space available to start a garden, but the amount of space you have will determine how many vegetables and what kinds to plant. For those with a very small yard or no yard, planting in containers can be quite effective. A 10×10 foot vegetable garden may be a great size to start with. Finding the right spot for your garden. Sunshine is everything when it comes to having a successful garden. You need to select a spot that gets 6-8 hours of direct sunlight a day, if possible. If your plants don’t get enough sunlight, they may be suspect to attack by more insects, and likely won’t bear as many vegetables. Plants also do better when they are close to a water source, though you will likely need to water your garden too. Having your garden close to your house is typically most convenient. 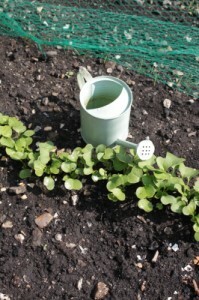 Start small in the types of vegetables you’ll plant. It is easy to get excited about fresh summer veggies coming from a home grown garden but be careful not to select too many types to plant in your first year. It is best to start small. You don’t want to get overwhelmed nor waste food. If you’re looking to upsize your Katy, Texas home or find a home with a larger backyard for a garden, spring is a great time to house shop. I’m a seasoned Katy real estate agent, and happy to meet with you to gain a better understanding of your housing needs. Give me a call today! Don’t miss the Teddy Bear Clinic in Katy, TX on March 21! Friday, March 20 from 7-9pm at Taylor High School, there is a Crustacean Ball that features Taylor High School’s Jazz Band. This event will include a dinner of seafood, potatoes and corn and an amazing gourmet dessert. You can purchase tickets to just the concert and dessert for $15 a piece or tickets that include the concert, dinner and dessert for $25 each. The attire for this event is casual. To purchase tickets, contact a band student or call Denise at 832-677-3430. 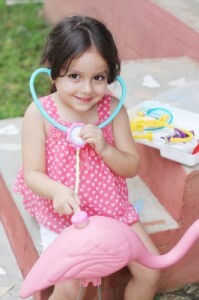 On Saturday, March 21 at ER Katy, parents and children can see what it’s like to be a child patient at ER Katy. Children will learn how medical tests and procedures are performed using a teddy bear. They will get to listen to breathing using a stethoscope and perform an x-ray on a teddy bear. They will even get the chance to diagnose the teddy’s ailment and hand out prescriptions (candy). Only 150 will be allowed to register so do so today! On Saturday, March 21, from 8-10am, at LaCenterra at Cinco Ranch, you have the opportunity to come look at today’s best supercars. This is definitely an event you can bring your family and friends to see. There is no cost for admission to this event. With spring finally here, perhaps you are considering buying a new Katy, TX home. If so I’ve been a Katy real estate agent for years and have a wealth of experience. I would love to help you find the perfect home for your family. It’s important to use a certified home inspector for your new Katy, TX home. There is perhaps no larger purchase you’ll make than a home, and having a new home inspected is important. A home inspection usually takes several hours and costs a few hundred dollars. 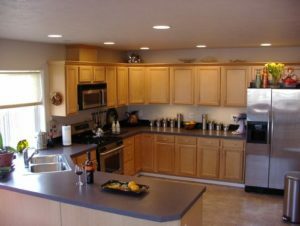 The job of the home inspector is not to look into each nook and cranny of the home for any minimal thing that is not perfect, but rather to examine the overall “bones” of the home to make sure you are informed of anything major that needs repairs, before you proceed with your purchase. Here are some tips for hiring a home inspector. Make sure your Katy, TX home inspector is licensed. 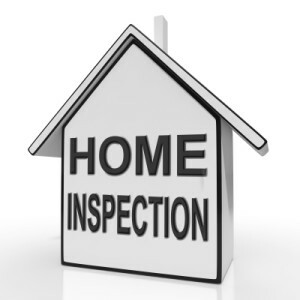 The home inspector’s responsibilities vary from state to state and from their area of expertise. A home inspector is not going to test for bugs/pests or look into the septic tank. That would require experts in those areas. Find out before hiring a home inspector what all they will cover. For example, do they just cover the main building or any other buildings on the property like garages or storage sheds. It’s important to be present during the home inspection if you can, so the inspector can point out any issues, and help you understand what they mean. Don’t expect for the sellers of the home to agree to fixing each and every thing listed on a home inspection. Try to focus in on the items that are larger in nature. If you’re in the market for a new Katy, TX home, spring is here and there’s no better time! I’m a seasoned Katy, TX real estate agent and am happy to help you list your current home, and find your family’s new dream home. Katy, TX has some restaurants coming soon to the area! Katy, TX is a great place to raise a family and has a variety of restaurants already…but there are a list of new places that have recently come to the area! Just opening in late January, the Katy, TX BB’s Cafe is the first one located outside of Houston and its fifth total. The food is considered to be “Tex-Orleans” which is traditional Louisiana-style cooking with a slight Texas flare. Located at 406 W. Grand Parkway, this restaurant offers dine-in and takeout as well as catering services. This restaurant just opened in late January and is the 15th Pie Five Pizza Co. site in Texas, but is a national chain with locations in 14 states. Located at 1473 Mason Road, this restaurant has the option of four made-from-scratch crusts, 28 toppings and seven sauces to choose from. Also recently opened is Snap Kitchen, located at 23501 Cinco Ranch Blvd. The food-to-go menu boats fresh and nutritious options and items are changed regularly. Some of the menu favorites include soups, salads, wraps, desserts and baked goods. Mom’s Eats and Sweet Things is no new ice cream shop to the Katy, TX area. 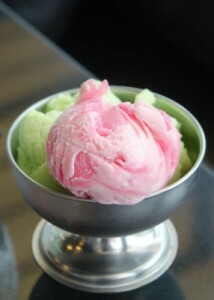 It opened in 2009 as Sweet Things Ice Cream Shoppe, but since then relocated and changed its name. This restaurant now offers a full lunch and dinner menu with menu favorites including chicken-fried steak and meatloaf. With spring around the corner, if you’re considering listing your Katy, TX home, I am a seasoned Katy real estate agent and am happy to help you! Give me a call today! There has never been a better time to find your new Katy, TX home. Over the past several years, the number of people buying homes has been on the decline but experts in the real estate field are coining 2015 to be “the year of the first time home buyer.” This is great news not only for real estate, but also for the economy in general. 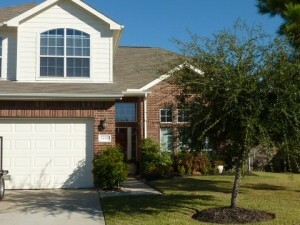 The Katy, TX real estate market definitely has plenty of opportunities for first time homebuyers. 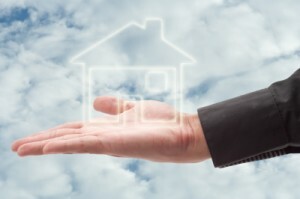 There are a number of reasons for the prediction that the number of homebuyers will increase this year. One of the reasons is that there has been a mortgage insurance premium reduction of $900 a year for those with an FHA loan. This is a savings for over two million mortgage borrowers. Another reason for the prediction is that the millennial generation (individuals ages 35 and under) are becoming a large part of the real estate market. A large portion of millennials were renters by choice of wanting to live in more urban areas with a larger population and higher cost of living, which made renting an apartment a better decision. Another portion of millennials just couldn’t afford to buy homes with the economy and the restrictions on lenders in the recent years, making obtaining a home loan very difficult for the middle class. If you’re thinking about buying a home in Katy or Houston, TX there is no better time than now. Spring is right around the corner, and the market is continuing to pick up but there are some deals to be had right now. I’m a seasoned Katy, TX real estate agent and am happy to help your family find the perfect home. Contact me today! Hard to believe as it may be, spring is not too far away. And you may be considering buying a first home or selling your current home to buy a new Katy, TX home. With the holidays past, now is a great time to start looking for new Katy, TX real estate but there are a number of questions you should first ask yourself first. 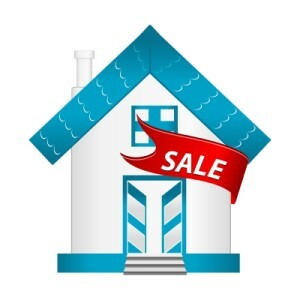 Whether you are getting ready to buy your first home, or selling your current home and buying a new home in the Katy, TX real estate market, it is important to know up front what kind of house you can afford. A good rule of thumb is to buy a home no more than two and a half times your annual salary. However, don’t let the fact that you don’t have 20 percent to put as a down payment on a home deter you from purchasing it. There are many public and private lenders that require smaller down payments. If you are thinking you may be staying in a new Katy, TX home for less than two years, you may want to rethink your plan. Staying in a home for less than two years means a lot of transaction costs that just may not be worth it in the end. Make sure to research the communities you are interested in or rely on me, a seasoned Katy, TX real estate agent who has over 20 years of experience, to take this off your plate and do all the research for you. I have a great deal of experience in this community and can help you navigate the safest neighborhoods and top-rated school districts. When financing a new Katy, TX home, which is more important, interest rates or points? The answer to this question depends on how long you plan to stay in your home. If you are planning on staying in your home more than three years, it is typically worth it to pay down points in order to have a lower interest rate because over the long run this will save you money. If you have questions, I’m happy to answer them. I enjoy getting to know each of my clients and determining what type of Katy, TX home they are looking to buy. Contact me today! Welcome to this immaculate two-story home which has the option for buy or lease for $1,600/month. Upon entry, you will be greeted by the foyer, illuminated by a gracious chandelier and featuring tile flooring. Off the foyer, you will find the formal dining room boasting a stylish chandelier, soaring ceilings and a large window to allow for plenty of natural sunlight to stream in. Step into the living room which is highlighted by a ceiling fan, soaring ceilings and a gas log fireplace which make the room all the more inviting. Put your culinary skills to the test in the spacious kitchen which includes corian counter tops, breakfast bar, tile back splash, 42″ cabinetry, a built-in desk and a pass-thru to the living room. Retreat to the master bedroom suite which comes complete with a trey ceiling, a ceiling fan and a private bathroom. A spa-inspired master bathroom is equipped with his/hers sinks, vanity lighting, a separate shower, a whirlpool tub and tile flooring. Three additional bedrooms offer plenty of room for sleep, storage or play. The attic grants lots of space for storage. Enjoy your morning cup of coffee out on the rear patio in the private, fully fenced backyard. Added bonuses include custom paint, upgraded light fixtures and beautiful archways. Don’t miss out on the opportunity to own or lease this home, schedule a showing today! For a visual tour of this listing click here.